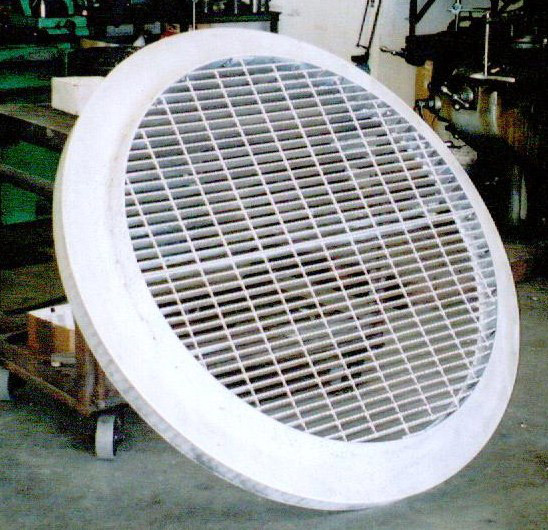 A customer in Yosemite, California was in need of a fabricator that could manufacture a custom man-hole drain cover. This cover is composed of aluminum, with dimensions of 4' 8" in diameter, and 6-1/4" in height. 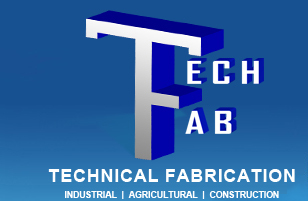 Fabrication required swaging and rolling, as well as welding and cutting services. Dimensional inspections were performed throughout the fabrication process to ensure that we met the customer supplied drawings. We fabricated two of these customers and applied a durable white powder coat prior to shipping. For more information on this project, see the table below. 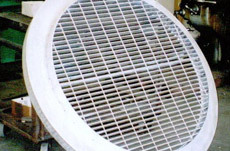 Product Description This cover is used to protect living things and other debris from entering a sewage drain. Overall Part Dimensions OD: Ø 4' 8"